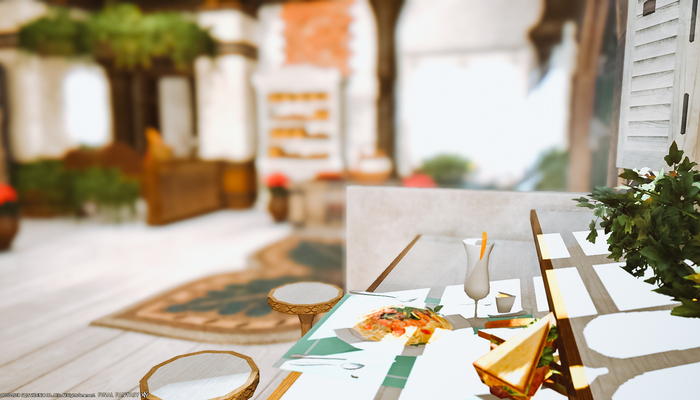 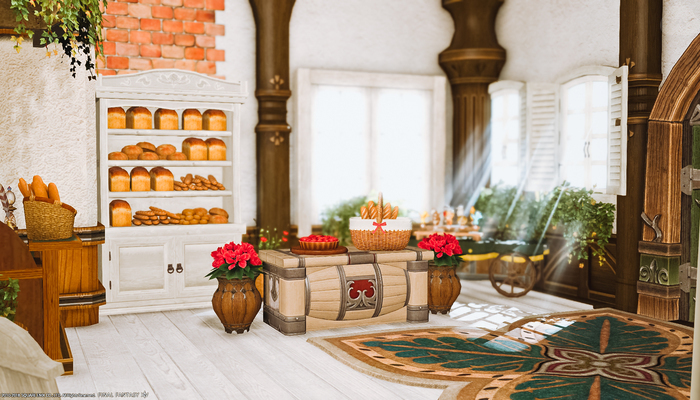 Welcome to Honey Chamomile, a quiet bakery in the Lavender Beds. 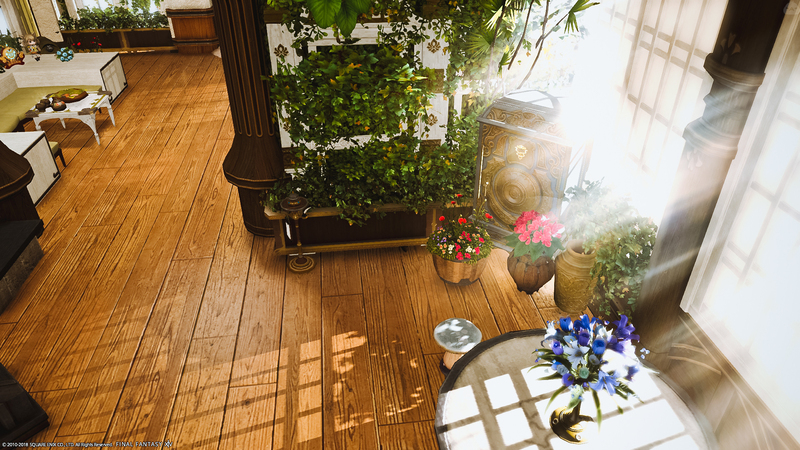 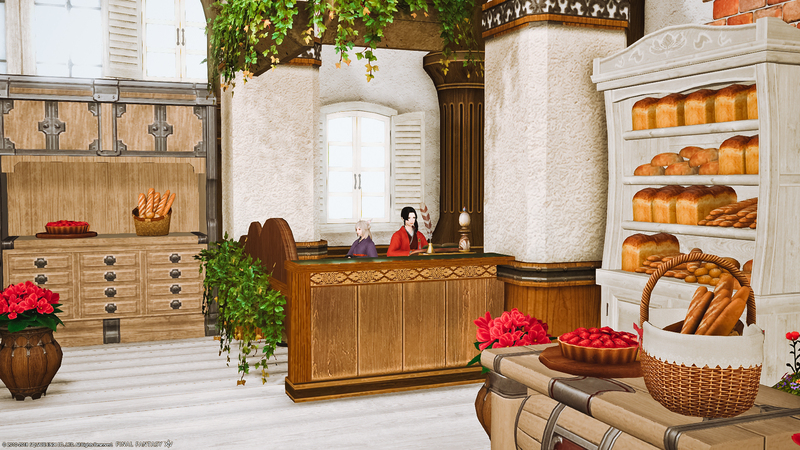 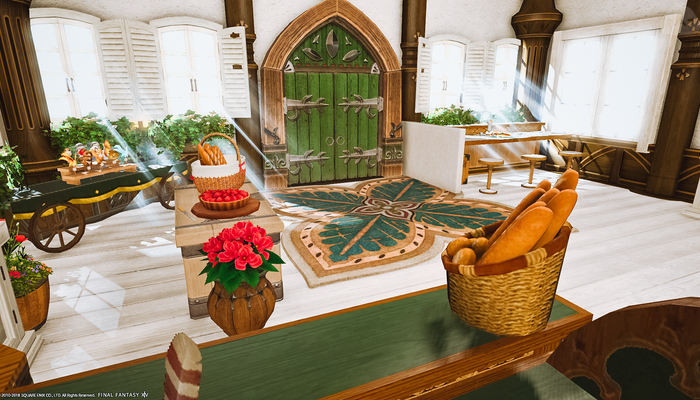 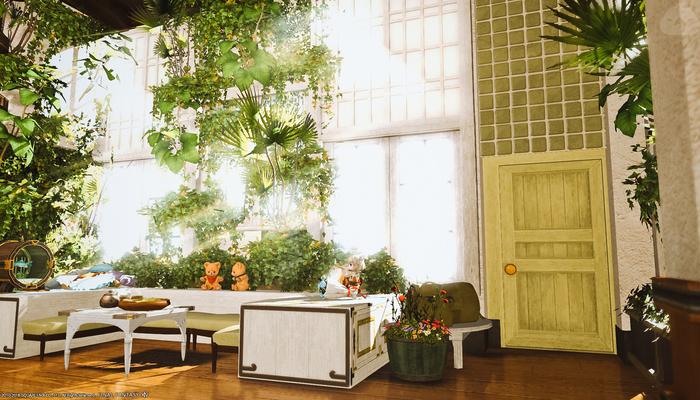 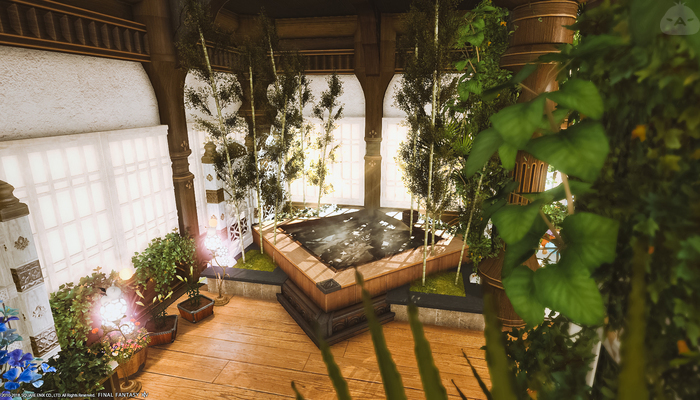 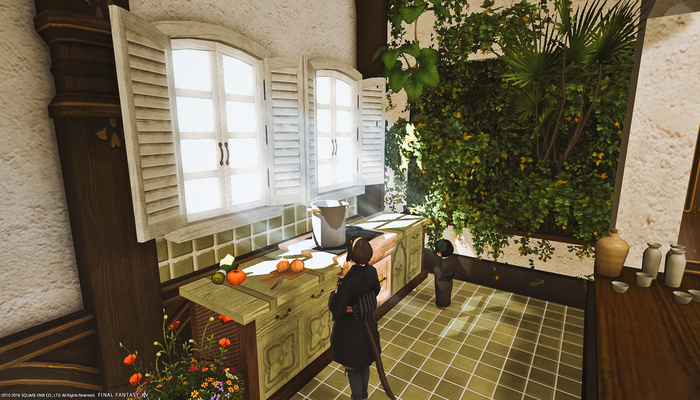 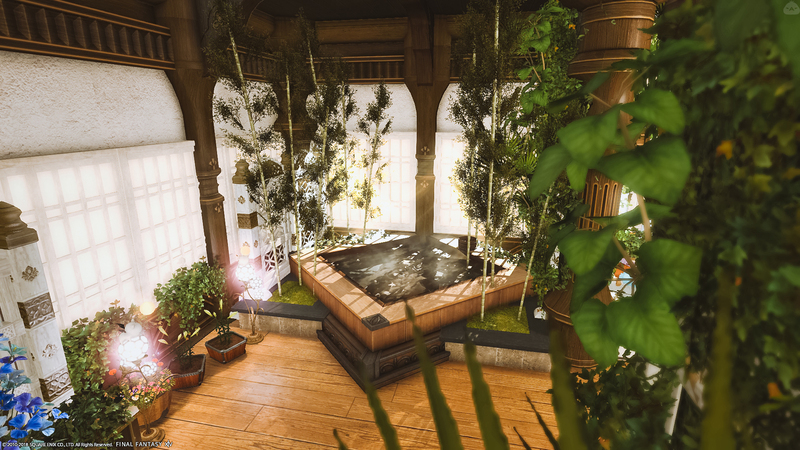 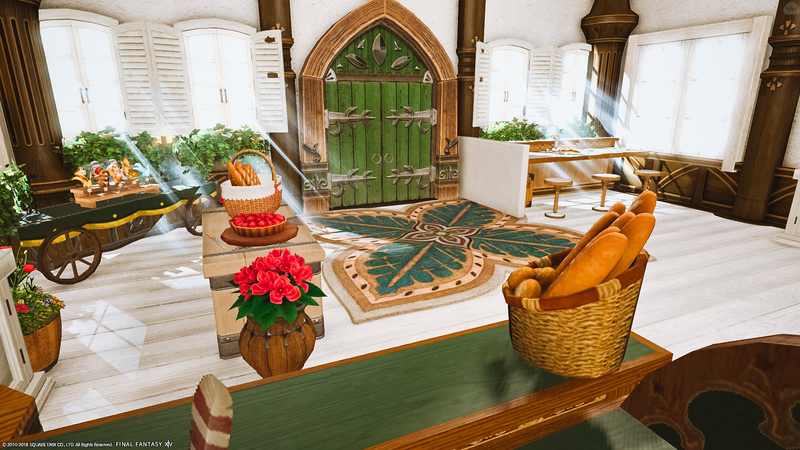 I love the color green, plants, and bread, so I tried to put my favorite things into my house's design. Thank you to my FC and friends for helping me gather and craft everything!! The stairs lead down to the second floor, my personal home. Pastel green is my favorite color, so I used it throughout the second floor.